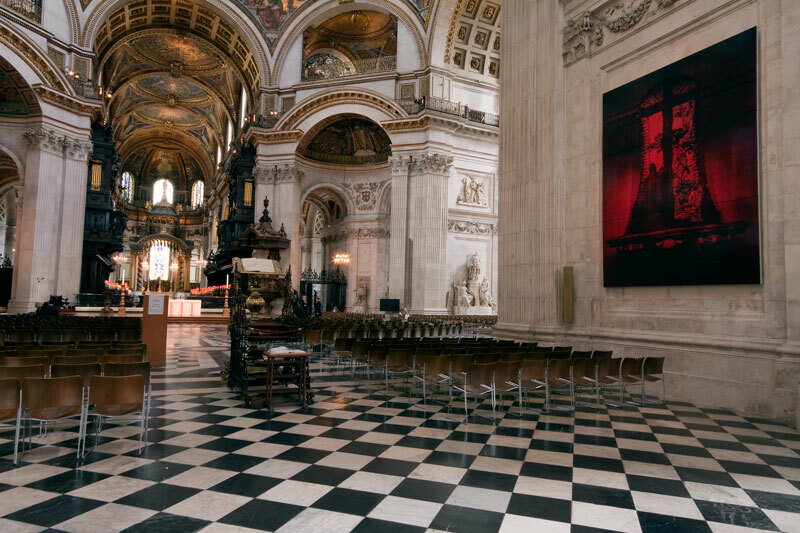 As part of St Paul's Cathedral Arts Project two exciting new works by British Artist mark Alexander hang either side of the nave. They look magnificent on the plain stone walls. I cant think of anywhere else they would look so stunning. 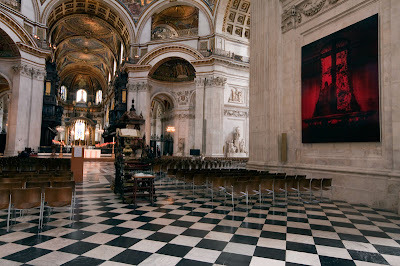 Make the effort to go and see these works, there for the summer. Rococo is an object of ravishing beauty and intense piety. Must be incredible to see in person. This is beautiful. I can't wait to check that out in person! Even without the silkscreens, the cathedral itself is magnificent. But you're right, the artwork belongs on that wall. What a beautiful work of art and you described it wonderfully! Interesting angle - I like it. Splendid setting for an outstanding work. Oh, I'm so happy I stumbled on your blog today--you have such an eye for London observations. Looking forward to continue following. St. Paul's never fails to make me gawk, at the inside and out. I'm keen to check out this new artwork now, so thanks for the heads-up.